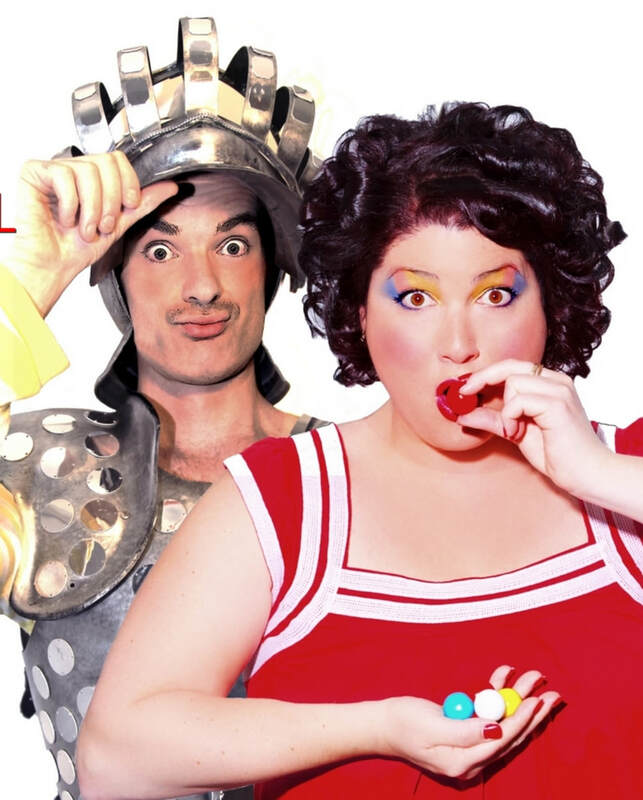 With sell-out seasons in Melbourne’s International Comedy Festival and the Adelaide Cabaret Fringe Festival. After performing a fabulous three week season of shows for Midsumma 2013 at the infamous Butterfly Club and their 'World Tour Of New Zealand' which travelled for 2 months across Jamie's homeland (Auckland Pride Festival, New Zealand Fringe Festival, Dunedin Fringe Festival),the Gobsmacked! The team then returned to Chapel Off Chapel. They are excited to be bringing the show to London in 2019! With a ‘laugh-out-loud’ script by Burgess, and songs by both he and Aitken, witness the duo who are more than friends but less than lovers, as they tackle the funny, sometimes sad but never boring life of a single girl trying to make it in show business whilst searching for a relationship that lasts. And who knows... the idea of the single-girl’s ‘Knight In Shining Armour’ may actually be standing right beside her wearing, well Rainbow Armour instead! "Clever writing, unabashed humour and stirring musical talent"
​"It's a witty, well written, not to mention hilarious show with raw honesty"
"The material is strong (book and score), but more striking still is Aitken’s powerhouse performance." Jamie Burgess, a proud Kiwi, relocated to Australia seven years ago to pursue his dream of writing for the Musical stage. Since that move, he has written his first full length musical ‘JUST DESSERTS’ which was shortlisted for the inaugural VCA New Music Theatre Initiative. His original songs have been performed in the cabarets ‘JOANNE’S REAL WORLD’ (Best Writing, Audience Choice, Wild Card Winner – Short & Sweet Cabaret Festival 2012), ‘GOBSMACKED: SHOWBIZ & DATING’ (Best Comedy Nominee – NZ Fringe Festival 2013), ‘HANDSOME DEVIL’, ‘CONFESSIONS OF AN AEROBICS INSTRUCTOR’, ‘MURDER ON THE PACIFIC DIAMOND’ and ‘MAN CAVE’. He has worked alongside some of Australia’s brightest up-and-coming cabaret talent including Justin Clausen, Joanna Simmons, Zuleika Khan, Tash York and most recently with ‘The Block’ star Amity Dry for her show ’39 FOREVER’. In 2016 his original musical comedy ‘BUTCH MASTERS: MAN OF DESTINY’ took Midsumma festival audiences by storm, and in 2017 his latest musical offering ‘THE INSATIABLE MOON’ – an adaptation of the controversial novel of the same name – was selected for a development workshop at the Victorian College of the Arts. Jamie played regularly for ‘Impromptunes’ the improvised musical troupe, has appeared on stage for ‘Yourovision – the improvised song contest’ and offers advice through various workshops on the art of improvised singing. He also entertains aboard the P&O Pacific fleet, encouraging raucous behaviour and sing-along joy in the Piano-Bar.